Stress, anxiety, and pressure are issues most women face throughout their career. As finding a balance between work and personal life while accomplishing your goals might be challenging, we conducted an interview with Elsa Razborsek, a health and wellness consultant, to help us out. Elsa has shared her advice on achieving balance and getting support, setting goals and multitasking. Read the interview to minimize the stress in your career! FP: Can you explain what stress does to our body? Elsa: To understand what stress does to our body, it’s important to understand what the stress response is and why it exists. In simple terms, you can think of it as something similar to a car alarm. It’s there to sense potential sources of danger and send you a signal so that you can do something about it. When you hear the alarm, you can assess the situation and take action to protect yourself or simply turn it off if there’s no danger in sight. The stress response works very similarly. Imagine you saw a tiger running in your direction. The moment you perceive the potential danger, your Sympathetic Nervous System (SNS) automatically triggers the production of stress chemicals (adrenaline and cortisol), and pumps extra blood to our limbs so that we can flee or fight more efficiently. This is called the ‘fight or flight’ response, and its goal is to keep you safe. Once the danger is gone and you’re allowed to relax, your Parasympathetic Nervous System (PNS) can take over and release ‘feel good hormones’ (endorphins). Your heartbeat slows down, reducing your blood pressure, and your internal organs are free to carry on with whichever healing and digestion processes are needed. This is called the ‘relaxation response’. The SNS and PNS are thus designed to work alternately, respectively triggering the stress and relaxation responses. Together, they ensure that you’re capable to respond promptly to danger, and then relax and recharge once appropriate. Going back to the car alarm analogy, the SNS is like the ‘on’ button, and the PNS the ‘off’ button of the alarm. Now think how annoying it would be if the ‘off’ button got jammed, and you simply couldn’t turn off the alarm... Unfortunately, that’s what figuratively happens to many of us when we say we feel ‘stressed-out’. The relaxation response is jammed and, biochemically speaking, we’re in a constant state of ‘flight or fight’. As a result, we’re not giving our body a chance to rest, recharge and repair. And over time this chronic stress breaks down our bodies and minds, leading to anxiety, depression, eating disorders, heart conditions, high blood pressure, diabetes, inflammation, cancer, and more. From the age of 25, women feel much more stress than men, and this continues throughout their working lives, according to figures published by the Health and Safety Executive. FP: How can women deal with stress, pressure, and anxiety - what are the methods? Elsa: There are many methods to deal with stress, pressure, and anxiety. A simple Google search will give you a host of suggestions including meditation, mindfulness, prayer, affirmations, EFT, NLP, CBT, self-hypnosis, talking with others, time management hacks, yoga, Pilates or any form of exercise, eliminating alcohol and sugar, aromatherapy, etc. It’s important to recognize that all these tactics have their merits, and different approaches work better for different people. So it’s useful to try-out at least a few and find what works for you. That said, what I always encourage my coaching clients to do is to take a holistic approach that honors the mind-body connection. What I mean by this is that, while mindset work is helpful, you cannot neglect the biological aspects at play if you’re looking for long-lasting results. That’s why I’m an advocate for integrative self-care -- a combination of mind-body wellness practices that address our psychology and physiology at the same time. Once you find a few key practices that work for you, then the key is to keep them consistent by turning them into habits that become part of your lifestyle over time. FP: How can you stay true to yourself in a male-dominated environment? Elsa: That’s a very interesting question and one that is relevant for both men and women. We live in a fast-moving society where social media keeps us connected nearly 24-7. In this environment, things like comparison and competition become even more prevalent than they used to in previous generations -- and this creates tremendous stress! There’s a lot of pressure to fit a certain mold and match other people’s standards, whether they’re real or a facade. For women working in male-dominated environments, this often means unconsciously behaving more ‘like a man’, in an effort to get things done, be respected and taken seriously. This leads us astray from who we really are, and eventually shows-up in women’s bodies as burnout, adrenal fatigue, menstrual dysfunction, infertility, fad dieting, crazy calorie counting, and body image issues. The key to staying true to ourselves, simple as it may sound, is to reconnect with ourselves -- our real desires and our bodies. That’s why mindfulness practices are so effective. They force us to slow down, tune into our senses, and feel what’s really going on inside our heads and hearts. When we do this, not only do we instantly feel a lot calmer, but we are also able to access our intuition like never before, and our confidence and charisma soar as a result. FP: What are the possible reasons some women do not reach their full potential? Is that a consequence of multitasking and not being able to fully commit to a certain achievement? Goals: We must be 100 percent clear on what we want to achieve and why. Timeframe: We must have a non-negotiable timeframe to achieve them by. Milestones: We must break-down our goals into smaller milestones along our timeline. Action Plan: We must deconstruct our milestones into actionable steps. Consistency: We must eliminate distractions and commit to implementing our plan consistently. Where many of us get tripped-up is at the goals and consistency levels. That’s where working with a coach or at least enlisting a mastermind partner can be incredibly valuable. An outside person can help you gain perspective, get clear on your vision, and keep you accountable as you move forward toward your dreams. FP: Women often take on themselves too much workload which can’t be finished. How to adopt the ‘work smart, not hard’ phrase to their life? Elsa: I commonly see two reasons why women take on too much workload that can’t be finished and ultimately leads to burnout. Reason #1: they’re very ambitious and want to ‘have it all’. Reason #2: they’ve been raised to be a ‘good girl’ and feel uncomfortable saying ‘no’. In both cases, the way to ‘work smart, not hard’ boils down to focus. Once you’re clear on your goals, milestones, and action plan, it’s a matter of implementing it consistently and saying ‘no’ to distractions. If you want to ‘have it all’ and have too many goals on your plate, then you must prioritize them and either drop or park less pressing ones. In the long run, you’ll get a lot more done if you make your present workload more manageable. Trust that you can ‘have it all’, just not all at the same time. If you’re a ‘good girl’ and fear to let other people down, there’s a phrase that I learned from Cheryl Richardson which may help you. It goes like this: “In an effort to take better care of myself, I need to decline your offer, although I’m honored that you asked.” Tell the truth with kindness. Most people will appreciate your honesty and understand. According to the American Psychological Association, three-quarters of Americans experience stress-related symptoms in a month: 77% experience physical symptoms, while 73% experience psychological ones. FP: Some women might feel guilty focusing on their career rather than their partner. How to communicate, in an efficient way, the importance of your career to your significant other? Elsa: First, it’s important to note that feelings are not facts. A woman may be feeling guilty for not spending more time with her partner, when in fact he’s happy to have some ‘me time’ to watch football or go out with the boys. So before letting your mind run wild, it’s important to open up the conversation and ask your partner directly how he feels about you spending more time on your business or career. Based on his reply, you then can come up with a plan together to ensure that everyone’s needs are getting met. The key is to maintain open communication and set expectations beforehand. That way, you both know how the other one feels, you can course-correct as appropriate, and avoid last minute disappointments when he was hoping for a romantic night and you spend the evening glued to your laptop. According to the British Health and Executive Annual Statistics from 2018, 200,000 men reported work-related stress in the past three years, compared to 272,000 women. This means women were 1.4 times more likely to suffer from stress, anxiety and depression. FP: What is the role of men, in helping women to follow their careers? How can a partner support a female entrepreneur? Elsa: There are various ways in which a man or woman can support their partner in their business or career. At a material level, starting and growing a business often takes a significant amount of capital, and the return on investment can take a while. During this period, it’s incredibly helpful to have a supportive partner who can cover the bills or help finance some key business expenses. At an emotional level, being an entrepreneur can be extremely consuming. 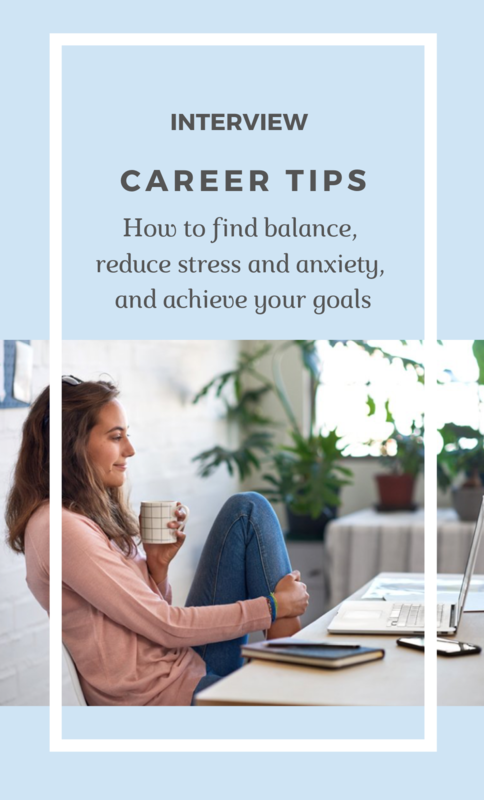 Long hours, financial uncertainty, having to wear multiple hats, and getting out of our comfort zone… This all creates tremendous stress and can take a toll on our mental health. Having a loving shoulder to lean on is invaluable. That’s another way a partner can offer support. At an intellectual level, it’s always super helpful to have someone to brainstorm ideas with. So being open to bouncing ideas with their boss-lady is another way men can help. A word of caution for female entrepreneurs here. Most men tend to default to the problem-solving mode when you come to them with an issue. So it’s helpful to be clear with them upfront about what type of support you’re looking for. Do you want to brainstorm and get his input? Or do you just need him to listen as you have a good rant? By setting expectations upfront you’ll avoid the frustration of him trying to jump in and solve the issue for you when you just need a shoulder to cry on that day. Women are more likely to report physical and emotional symptoms of stress than men, such as having had a headache (41 percent vs. 30 percent), having the need to cry or an upset stomach or digestion. FP: How can you find a balance between your private life and career? Elsa: Creating a healthy and realistic work/life balance is a challenge for most of us. Especially in our fast-paced society where things keep changing, it’s important to be flexible. That said, structure and organization are key. Planning ahead and using an electronic calendar may not sound like the sexiest thing in the world, but they can help you keep clear and calm in the midst of chaos. Self-discipline is paramount. Take time at the beginning of each month, week and day to map-out your action plan. Start by scheduling personal appointments related to your family and self-care. Then fit-in your work tasks and appointments in the space that’s left. This is exactly the opposite of what most people do. They book their work first and end-up with little to no time for their health and relationships. But at the end of the day, what’s more important? Nurturing ourselves and those we love, or checking another to-do off our list? Work expands to the time allotted, as the saying goes… And if you don’t set boundaries, your private life and wellbeing will suffer. Women in their 30s and 40s are most at risk of burnout, and the risk generally decreases as the woman gets older. The main causes of burnout are fear about financial stability, lack of sleep, too much pressure, work overload, and health conditions. Find out more about the ways of burnout symptoms and how to prevent it here. FP: Are there any specific steps which will help you achieve as much as you can both in your work and private life? Step 1: Get crystal clear on what you want to achieve both in your work and private life over the next 5 years, 3 years and 12 months. Prioritization is key here. Step 2: Break down your 12-month goals into monthly goals. Step 3: Map-out your 12-month game-plan in your calendar, starting with your private engagements and figuring out how much time you actually have available for work. Step 4: Focusing on the next 30 days, map-out the daily actions you need to take in order to achieve your monthly goal. Step 5: Implement your plan each day, staying focused and filtering out any distractions. FP: You have developed a based self-care and stress management system on 4 Core Pillars (Detoxing, De-stressing, Fitness, and Food) for coping with stress and optimizing our well-being. Could you explain to us what these are and how can one incorporate them in their life? Elsa: These 4 core pillars are the cornerstones of the integrative self-care system that I teach my coaching clients. Together, they ensure that you’re nurturing your mind and body on a daily basis, which contributes to less stress and optimal health. Pillar #1 is Destressing. This includes recognizing what your biggest stressors are and finding ways to reduce them or reinterpret them so they no longer get you into a frenzy. It also includes starting to reset your relaxation response with appropriate rest and mindfulness techniques. Simple ways to incorporate this pillar into your life are to ensure you get 7-8 hours of sleep every night, and take-up a daily meditation practice, for example. Pillar #2 is Fitness. Exercise is the ultimate stress reliever, as it helps flush the ‘stress chemicals’ out of your body. Choosing low-impact forms of exercise like yoga and Pilates that include a component of mindfulness are wonderful ways to ease stress. The key here is to be consistent and find ways to create a fitness routine that works with your schedule. Pillar #3 is Food. Food is extremely important where it comes to managing stress from two perspectives. First, as women, we’re more prone to emotional eating as a result of stress than men. Healing our relationship with food is thus super important so that we don’t create even more anxiety in our lives as a result of binge eating, crazy dieting, and body image issues. Second, our food choices and gut health heavily influence our emotional state. Processed foods, sugar and alcohol, all have a detrimental effect in our hormonal balance. Plus, recent research shows that serotonin (a neurotransmitter implicated in depression) is largely produced in the gut, not just the brain. So our diet and gut health are incredibly important for our mental well-being. Eat a clean, healthy diet, rich in nutritious whole-foods, including plenty of plants. Also, make sure you seek help from a qualified healthcare professional if you’re experiencing any level of disordered eating. Pillar #4 is Detoxing. What you put on and inside your body affects your biochemistry and hormonal balance. Therefore, I’m a big believer in clean living, as a way to reduce your exposure to toxic substances that can negatively impact your health and mood. This is one aspect of Detoxing. Another aspect is ridding your external environment from any clutter, and even from toxic relationships and situations that may be causing you stress. FP: What is your best advice to a female entrepreneur, to have a balanced, happy life and career? Elsa: My best advice is to nurture yourself. Taking care of your body and mind is really important. That way, you can give so much more to everything you do and everyone you meet! Ultimately, this will benefit your wellbeing, relationships, and your bottom-line. Elsa Razborsek is a biological engineer turned health and wellness consultant. She is an expert at helping businesswomen beat stress and burnout through integrative self-care. If you're interested in optimizing your health and lifestyle to achieve more with less stress, then definitely reach-out and request a free wellness assessment today.